The Cape Center for Movement Disabilities at Midway Motion & Fitness uses the PWR!4Life™ model, a multi-prong and proactive approach for optimizing your brain neuroplasticity (brain change). This type of research-based integrated exercise and wellness programming is necessary to counteract the inactivity, motor deterioration, and symptoms of movement disorders including Parkinson’s. PWR!4Life™ should start at diagnosis and continue “4 Life!” With early intervention and ongoing programming, you can get better and stay better. But better yet, your efforts may trigger positive brain changes (neuroplasticity) that are disease-modifying and thereby contribute to slowing the disease progression. 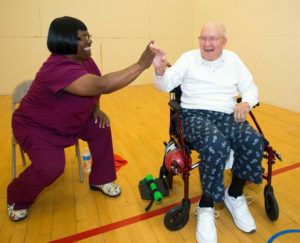 Cape Center for Movement Disorders provides circuit training classes specifically targeted to people with movement disorders including Parkinson’s. While exercise improves strength, balance, coordination, flexibility, and cardiovascular functioning, it is also a physiological tool to protect neurons and guides brain health and repair. Exercise has the potential to slow disease progression in people with movement disorders including Parkinson’s. 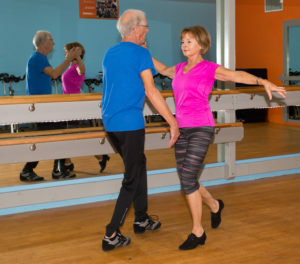 Every day we learn new ways in which people with movement disorders including Parkinson’s are enhancing their daily lives by building power, strength, flexibility, and speed. Boxing works by moving your body in all planes of motion while continuously changing the routine as you progress through the workout. 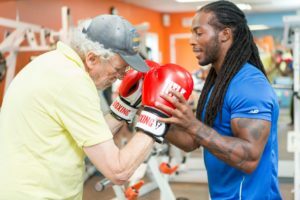 Boxing has proven that anyone, at any level of Parkinson’s, can actually lessen their symptoms and lead a healthier/happier life. Dance for Movement Disabilities offers dance classes for people with movement disorders including Parkinson’s. In Dance for Movement Disabilities classes, participants are empowered to explore movement and music in many ways that are refreshing, enjoyable, stimulating, and creative. In addition to certification for specialized training, the Midway team is comprised of professionals holding degrees in Psychology, Education, and Physical Therapy that support a holistic, best practices approach. Class size depends on the ability of the group and careful attention is paid to maintaining appropriate instructor to member ratios. One-on-one personal training is also available for members with movement disabilities at an additional fee. Please Call Midway Motion & Fitness at 302-645-0407 for more information about the Cape Center for Movement Disabilities.